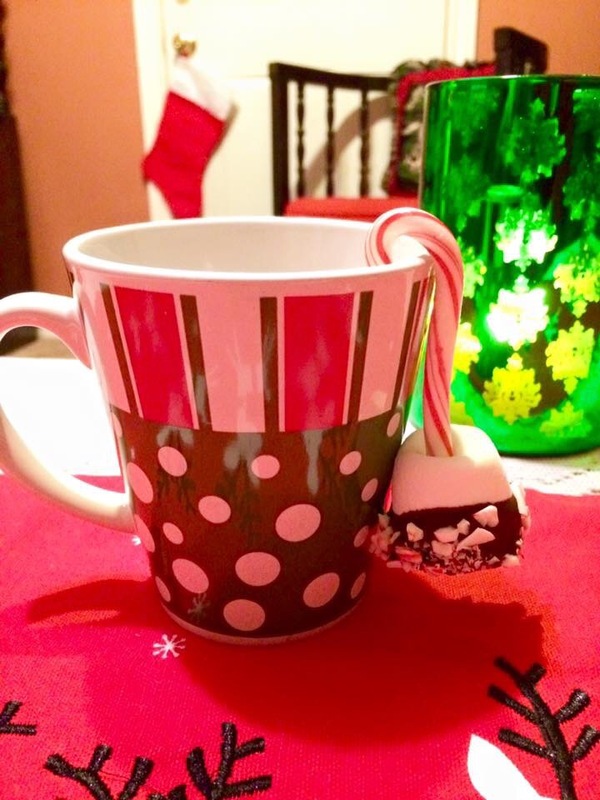 Jazzin Up Hot Cocoa – Midnight Munchies & More! 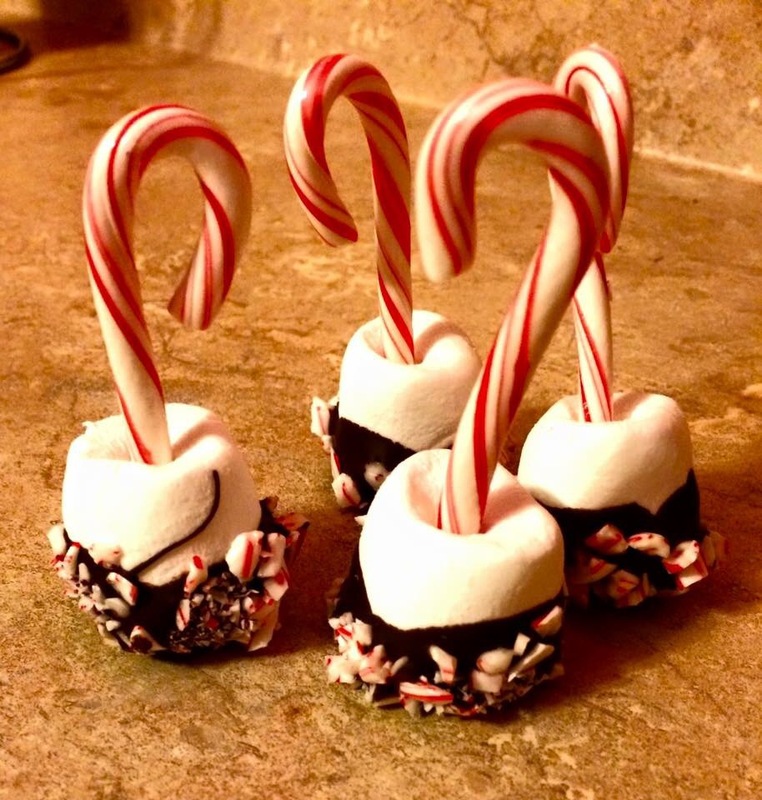 Unwrap your candy canes. Use about 3 of them to crush up into little pieces for decoration. Melt your chocolate in the microwave or stove top. Stick the canes in the marshmallows. Then dip them in your chocolate and sprinkle with the cane crush before the chocolate dries. Put them on a piece of parchment paper until the chocolate hardens. 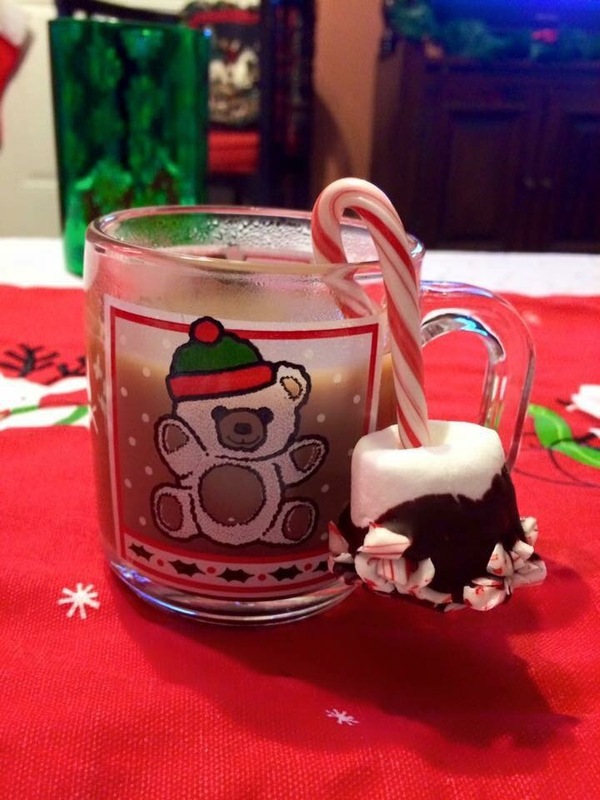 Serve with your favorite hot cocoa or coffee like I prefer!